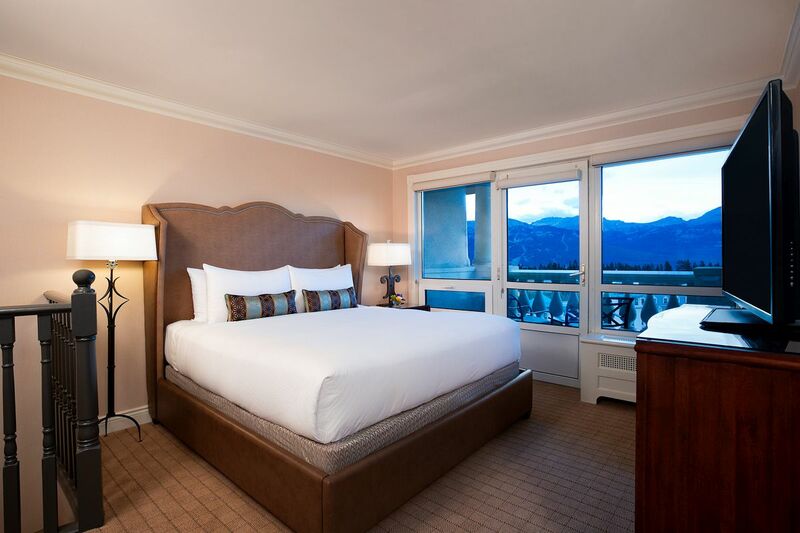 Welcome to a stunning luxury destination dropped right in the heart of a mountain. It’s a sight you have to see to believe! 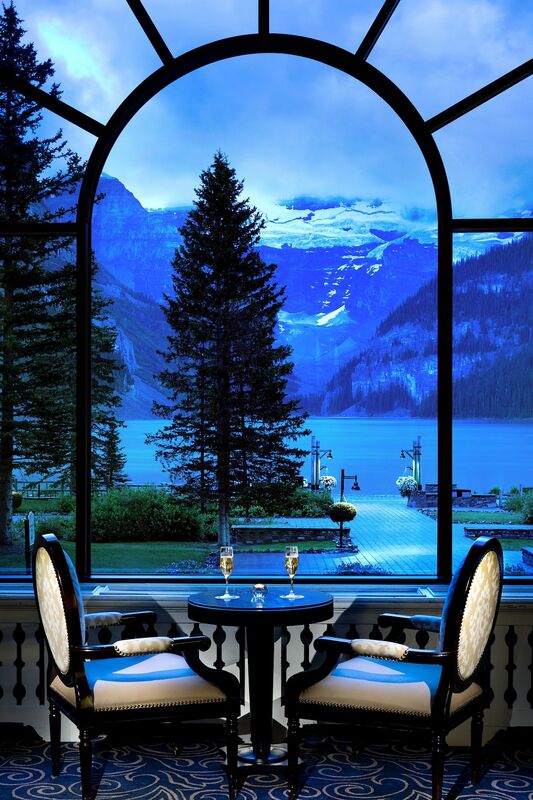 The Fairmont Chateau is a luxury mountain retreat nestled in the valley crest of Banff National Park in Western Canada and it overlooks the emerald waters of Lake Louise. The exterior appears to look like a modern day castle, surrounded by ground of walking trails, romantic gazebos, and backed onto a beautiful treed piece of land. 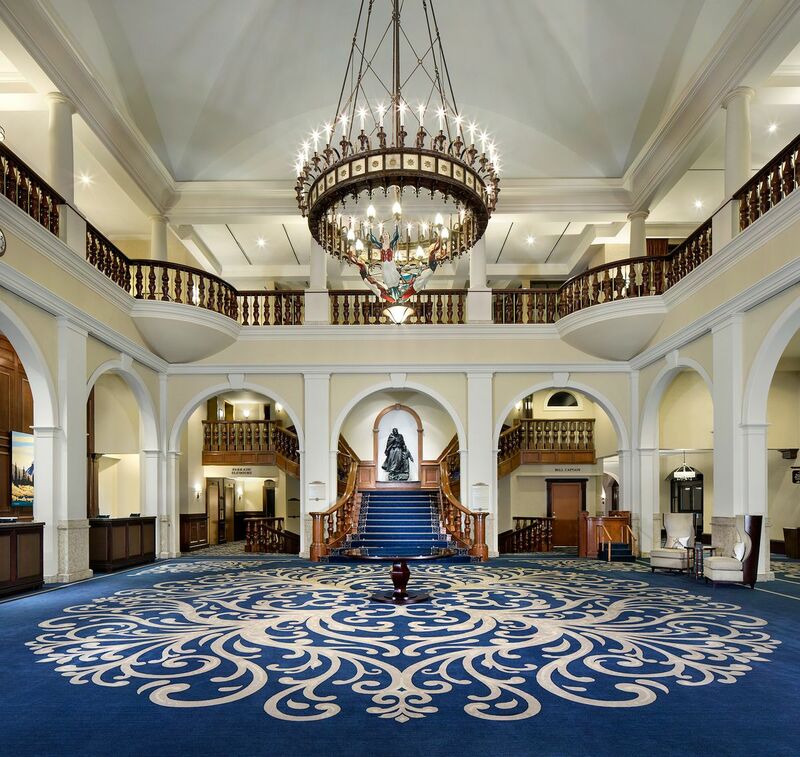 Upon entering the main lobby of the luxury mountain retreat you’re greeted with Colonial details of royal blues and stark white, accented by dark rich woods and bronzed fixtures. 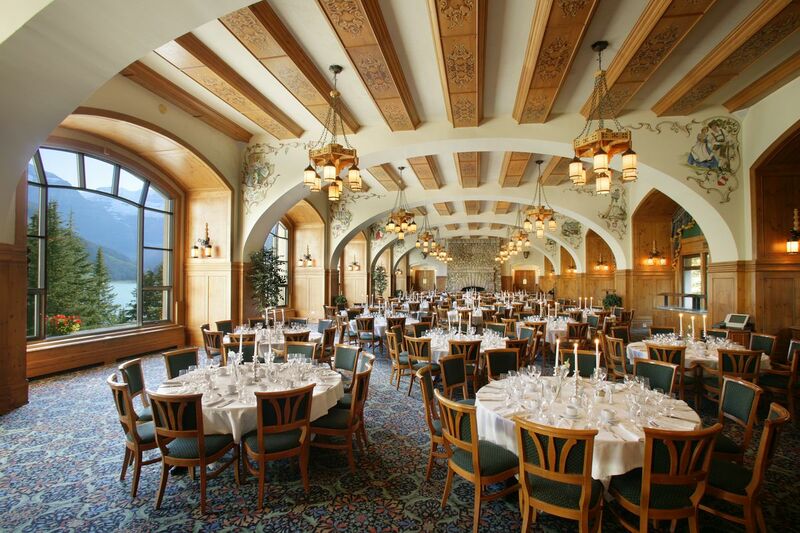 As you move through the main floor and enter the massive dining hall you’re once again met with other worldly aura of a castle with the round tables dressed in whites and lined with dainty glassware. The tray ceiling above boasts heady wooden beams with intricate detail work in the form of appliques. 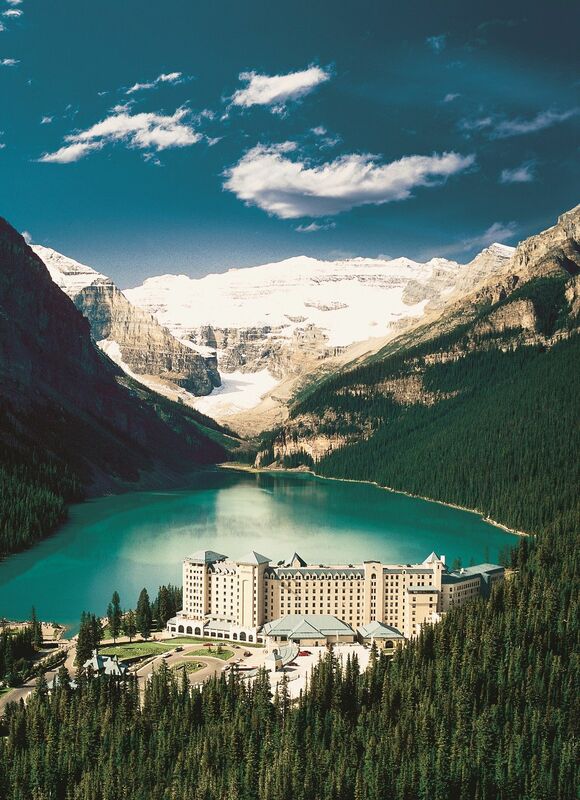 This luxury mountain hotel is like something ripped from time and perfectly preserved here within the protection of the Rocky Mountains. 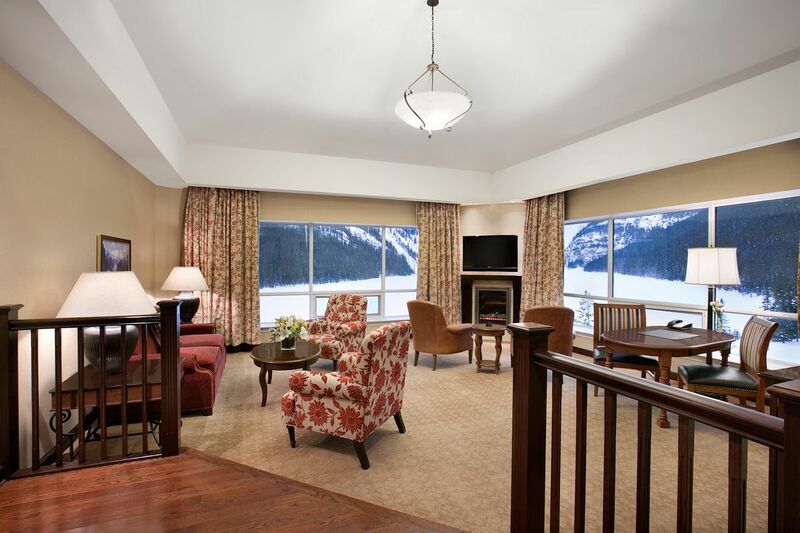 The luxurious guest rooms simply cannot be overlooked when completing the tour of the Fairmont Chateau on Lake Louise. They range in size from single beds to massive two bedroom suites. But regardless of their size, they all have one thing in common; sheer extravagance. Soft palettes of neutral tones are complimented with rich reds and dark woods. 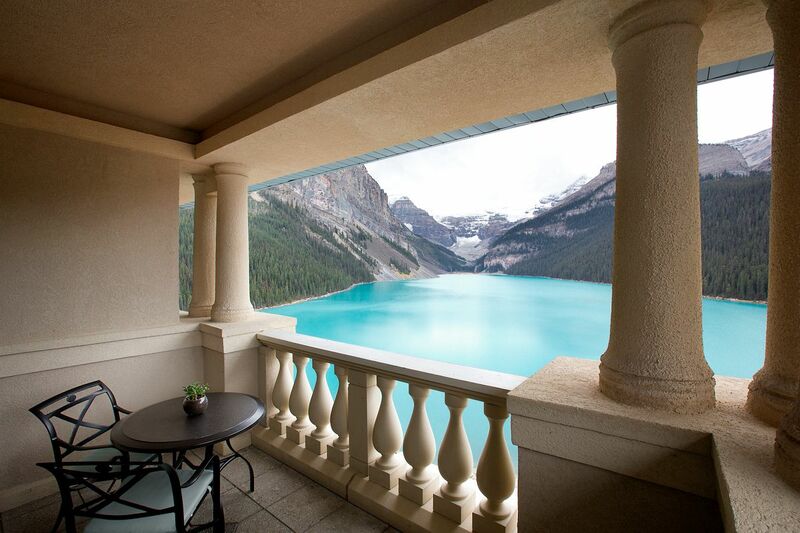 Bronze fixtures and gold detailing are scattered throughout and each room is accompanied by a balcony that overlooks the gem colored lake outside. 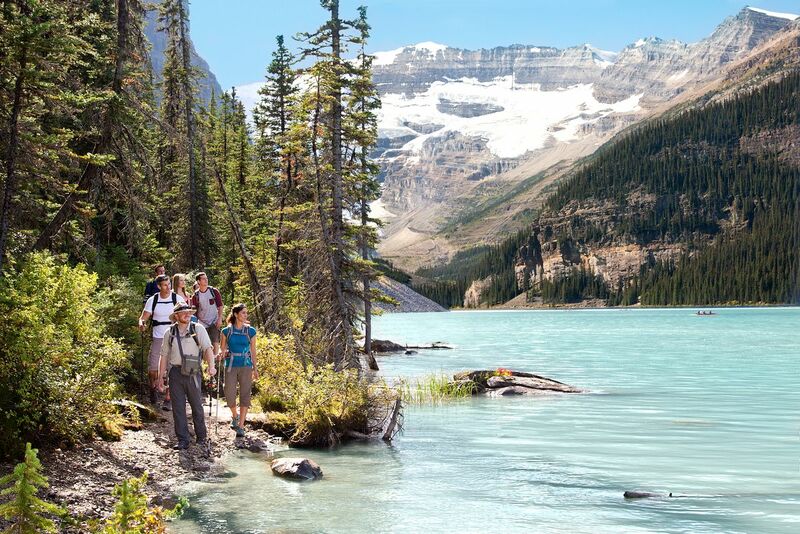 If you’re looking for an elegant destination that’s tucked away in the mountains, this is the pace to be.